At Mountain Valley Contracting we pride ourselves on our ability to build customer relationships on honesty and integrity. It is our goal to build lasting relationships with every customer no matter the size or scope of the project. The owner Richard Davis has built Mountain Valley Contracting with the idea that quality and value can be achieved by changing the way they do business. 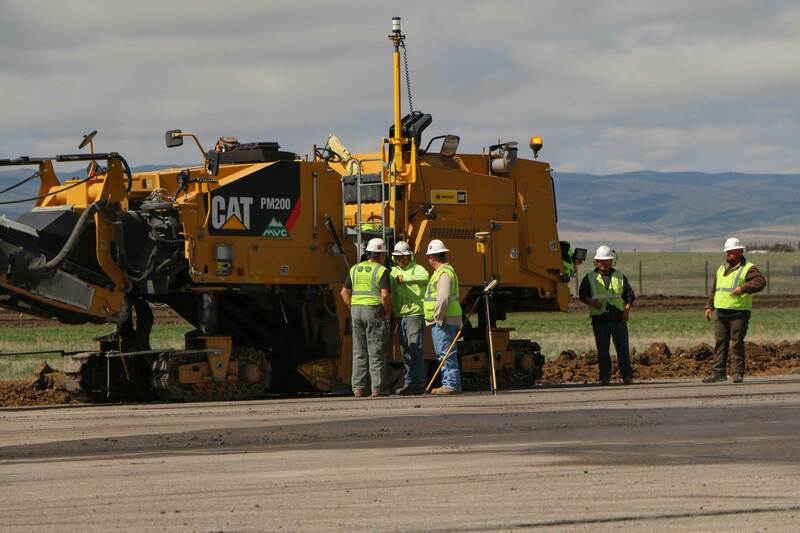 With over 89 years of combined experience in projects from airport runways to highways and utility projects Mountain Valley Contracting is the expert. We build our relationships from trust. With our value engineering team we do not stop with just the plans and specifications. We insure the best possible product is designed and use state of the art technology to ensure the project is not only done right but is done in the most cost effective methods. Saving you time and money. Mountain Valley milling operations implores one of only three 3D profile milling systems in the world today. A complete downloaded model is built from data which just doesn’t mill a surface but looks for errors in grade within one quarter inch of specifications regardless of terrain. This is as close to perfect as possible. These methods reduce material and time on site. At Mountain Valley Contracting your not just hiring a general contractor, you are hiring a team member with an experienced and thoughtful organization that will provide a job done right, on time and within budget. Our mission is your goal with completion through innovation.